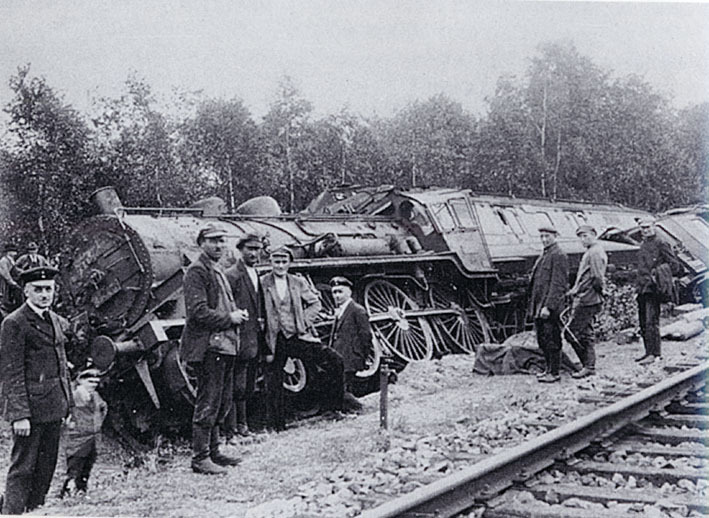 Guest post: Avoiding sightreading derailments at the piano. Erica is a primarily a pianist but also a cellist who has a passion for bringing joy, personality, and fun into making, listening to, and performing classical music. She studied at the Eastman School of Music, and lives in Blacksburg, Virginia. She writes a blog for pianists and musicians called Beyond the Notes. 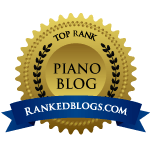 For the next few weeks, as I prepare for a second semester [term] of teaching folks how to improve their sightreading at the piano, I will be sharing on my blog some of the tips I’ve already shared with them. title of the piece and tempo indications, if any – these are helpful to know and can also get you focused more on musicality rather than your fear of sightreading. For instance, if a title says “Funeral March,” you’ll know that a) it’s not going to be fast (unless it’s a happy funeral) and b) it’s going to full of emotion, or it should be. key – look at the beginning and ending notes and/or chords to help determine the key and whether or not it’s major or minor. time signature – it’s crucial to know this. And if you see that it’s in 3/4, beware!! 3/4 is famous for messing people up because these days, it’s not a meter you hear in everyday life. (There’s more info about troubles with 3/4 in my post, “A note of apology and sympathy to a time signature“). difficult rhythms – after a while of purposefully looking for tricky rhythms that tend to mess you up these will instantly jump out at you. FIGURE out those tricky rhythms you just spotted. If you’re not great at rhythm, now is a good time to start proving to yourself that you can, in fact, figure rhythm out. It’s simple math and is well worth the extra moments of computing how the notes are supposed to line up. If you don’t figure it out now, you’re bound to crash and burn when you reach them in the music. If you do figure them out, you may still crash and burn but at least you gave it an honest go! PICK a wise tempo. Be thoughtful about the tempo you choose. Pick one based on the tempo indication but also on the difficulty of the piece. Keep the fastest notes you’re going to have to play in mind. You can be somewhat flexible with the tempo once you start but you want the tempo to be such that you never actually have to break the pulse of the piece. TAKE a deep breath, let it out, and play. STAY in tune with your mind and body. Be conscious and respectful of your mind and nerves when you can afford to. If you’re by yourself or in a low-pressure situation use that time to allow yourself to work on being calm and loose. Be sensitive to where your brain, muscles, and nerves are throughout the process. If at any time you start to sense tightening or stress, slow down the tempo until you are comfortable again. LOOK straight ahead at the music, not down at the keyboard. Don’t look down! When you look down, you’re almost assured of missing even more notes and then getting lost when you look back up at the music. Start to develop really good muscle memory instead so that you can keep your eyes on track in the music. Remember, you’ve probably never seen this music before so you don’t know what’s coming. Keep your eyes on the track or you will derail. If there is a big jump in one or both of the hands and you need to look, make sure you don’t tuck in your chin and move your whole head to do so. Just move your eyes, keeping your head steady. This will help you maintain your place in the music and your orientation to the keyboard. KEEP your eyes moving. You’re eyes should never stop moving. If you’ve landed on a whole note or a rest, don’t let your eyes rest too. That’s a perfect time to look ahead and keeps you on track. If you stop, you’re going to have to jumpstart your eyes and that usually causes a break in the pulse. USE your ears. Turn your ears on even before you start to play and trust them! Too many people rely solely on their sight but our previous experience with music can really help us out if we let our ears guide our hands along the way. This takes some getting used to but is well worth the discomfort at first. DON’T stop. Don’t ever stop to correct something. Just smile and keep going. Sightreading isn’t about being perfect, it’s about being able to experience music that you’ve never played before. And when you’re reading with others, it’s also about experiencing music in a social, spontaneous way. In other words, it can be fun and downright entertaining. COUNT out loud while you play. What?!? Isn’t that asking a little much? Well, perhaps but here’s the thing. If you can get to the point that you can count out loud while you’re playing, you are going to sense a new level of rhythmic security and musicality. Keeping a steady pulse is also essential for good sightreading because it can keep you on track, keeps the eyes and brain moving, and makes it easier to read with others. So keep working on it and just think of the sense of pride you’ll feel when you can actually do it successfully! BE KIND to yourself. Be very forgiving of yourself and just enjoy reading music. Playing music is a good thing after all! KEEP doing it. Sightreading, like so many other things, takes practice in order to see progress and to gain confidence. Keep doing it, especially with others, if you can. Read with a sense of adventure, curiosity and pride and you’ll soon be looking forward to reading music just for the sheer enjoyment of it. this is perfect! You have said it all!